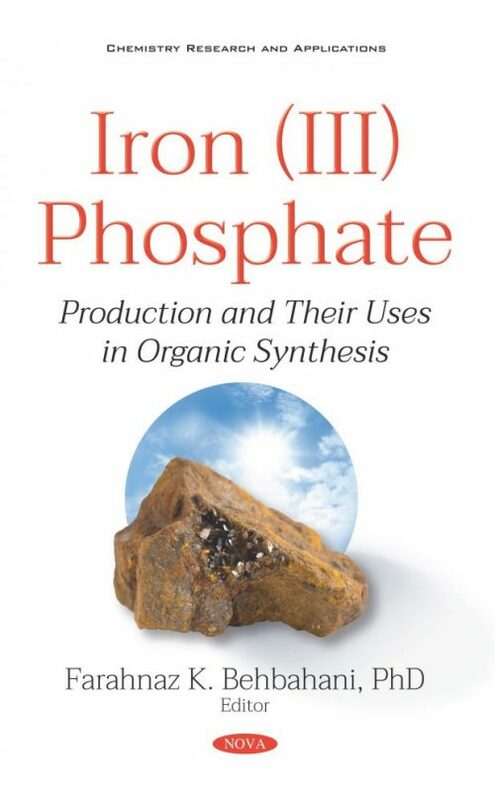 This book presents the synthesis, properties, uses, structure, and safety of iron (III) phosphate, as well as its use as an intercalation electrode in lithium-ion batteries, despite having low electronic conductivity. In the synthesis of organic compounds, iron (III) phosphate catalyzes the one-pot synthesis of dihydropyrimidinones and thiones, and 2, 4, 5–triarylated imidazoles. It also results in the acetylation of alcohols and phenols, the tetrahydropyranylation and tetrahydrofuranylation of alcohols and phenols, as well as the synthesis of polyhydroquinoline derivatives, 2-substituted benzimidazoles, 1, 2-disubstituted benzimidazoles, 1,2,4,5-tetra-arylated imidazoles, and bis(indolyl)methanes. Furthermore, it catalyzes the one pot three-component mannich reaction, 2-substituted imidazolines, ß-amido carbonyl compounds, 1,4-dihydropyridines, 4,4’-diaminotriaryl methanes-leucomalachite materials, N-substituted pyrroles, 7,10,11,12-tetrahydrobenzo[c] acridin-8(9h)-ones, and 4,6-disubstituted 2-aminopyridine-3-carbonitriles. It results in the one-pot synthesis of octahydroquinazolinones, the conversion of tetrahydropyranyl ethers to acetates, dihydropyrimidinones, thiones, as well as β-amino ketones. In the author’s opinion, this book could be beneficial for researchers, graduates, and post graduate students, as well as for professionals in the chemical and medicinal industries in the preparation of raw materials using green methods.